I think it is a matter of translation, Armenia’s Defense Minister Davit Tonoyan told the reporters today, referring to the position of the U.S. Department of State on sending Armenia’s mission to Syria. They do not say they do not defend but do not support, the defense minister said. “We have sent a humanitarian contingent to Syria and not militaries,” he said. 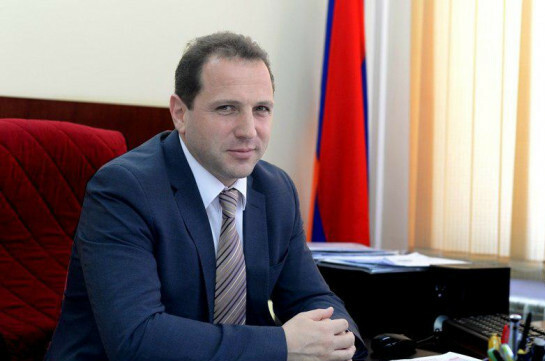 Tonoyan stressed that more probably inquiry was sent to the U.S. Department of State from the Armenian society, and he does not understand the reasons of it. “They have expressed their opinion, they stated they do not support our actions in cooperation with Russia,” the minister stressed. He noted that the decision to send a humanitarian mission to Syria was made in accordance with the law. “There cannot be any issue here. The Armenian Foreign Ministry will respond to the U.S. Department of State,” Tonoyan stressed. The defense minister said there is some geopolitical contradiction in this issue. 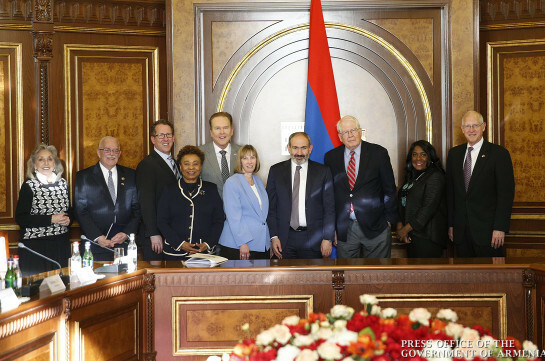 “Our assistance to the Syrian people, part of which makes the Armenian community, and which I believe is morally vulnerable, cannot be a reason for any speculation,” Tonoyan said. The U.S. Embassy in Armenia has provided to Aysor.am the response of the U.S. Department of State asked about its position on Armenia’s mission in Syria. “We recognize the desire of other nations to respond to the humanitarian situation in Syria, and we share the concerns about protecting religious minorities in the Middle East. However, we do not support any engagement with Syrian military forces, whether that engagement is to provide assistance to civilians or is military in nature,” the response of the U.S. Department of State, provided by U.S. Embassy in Armenia says. “Nor do we support any cooperation between Armenia and Russia for this mission. Russia has partnered with the Assad regime to slaughter civilians and trigger a humanitarian catastrophe. Russia continues to protect the Assad regime and its atrocities on a global stage,” the response says,” the response read. “The strive to declare yet unagreed arrangement does not contribute to the formation of working atmosphere based on mutual trust,” Naghdalyan stressed. “The joint statements are aimed at summing up all the agreed formulations between all the participants of the meeting. The statements contradicting these formulations do not contribute to the reinforcement of trust, especially if they are made up and do not correspond to reality,” Naghdalyan stressed. There are no contradictions between the two in this issue. Their perception of the conflict settlement is the same which of course helps the negotiation process.